The engine is the soul of any vehicle. In order for your vehicle to function well and live a long life, engine maintenance is key. Oil change should be a regular part of preventive maintenance done for vehicles. Each car will have a different maintenance schedule recommended as per the demands of the model. This schedule, which is generally available in your owner’s manual. 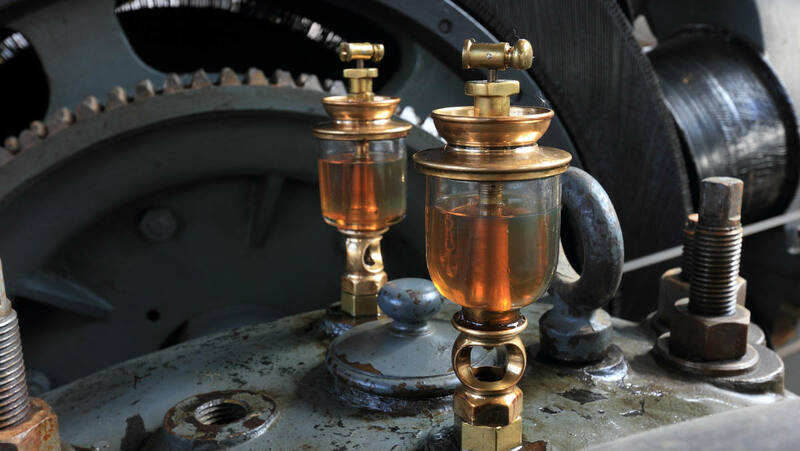 Oil is what holds the functioning of the engine together. This also means that regularly checking for issues and changing engine oil will help keep the engine of your car healthy. A study that was conducted by the Car Care Council has stated that 22% of vehicles either have low or dirty engine oil. This could lead to breakdowns and more critical damage in the long run. Therefore, it is vital that we change our oil and the filter regularly. By not doing so, we could make our car vulnerable to expensive damages that could otherwise have been prevented by simply doing regular check-ins. Other than checking during preventive maintenance, engine oils should be checked at least once a week by the car owner to ensure there are no issues. -As stated earlier, the engine oil is what ensures that the engine works properly. It provides lubrication to the engine. It also reduced the friction caused, thus decreasing overall wear and tear of the engine. –Oil acts as a protective agent for the engine. It coats all the moving parts of the engine and protects them from damage. By adding new oil, we also remove any dirt or rust that may have accumulated. This reduced corrosion. -Without a regular change in oil, the friction caused will increase and this could eventually lead to the engine blowing up. Replacing the engine will be expensive. -The engine heats up constantly because of the friction. It is an important safety measure to keep the engines from overheating. By adding oil, we reduce the heat and cool down the engine significantly. -Regular change of engine oil will contribute to extending the life of your car. By ensuring constant lubrication, all the internal parts remain healthy. -Oil does not alone extends car life, but also increases the gas mileage. When engine oil is changed, the gas mileage increase by 1-2% over time. Castrol Magnatec protects your engine from the moment you turn the key thanks to the way its Intelligent Molecules cling and bond to critical engine parts. Castrol Magnatec protects against engine wear... before, during and after your journey. Up to 75% of engine wear occurs while your engine warms up. But Castrol Magnatec’s Intelligent Molecules cling to your engine, even when it is off, always protecting and dramatically reducing* engine wear during this critical period. Castrol Magnatec’s Intelligent Molecules continue to cling to your engine after your engine warms up. Castrol Magnatec helps maintain top engine performance by protecting your engine in all driving conditions and at all temperatures. All engine oils will drain to the bottom of your sump when your engine is off but Castrol Magnatec’s Intelligent Molecules keep clinging to critical parts of your engine ready to protect when you start your next journey. Extensive testing has shown that Castrol Magnatec outperforms API SM industry standards and basic API SM oil. In fact, after running Castrol Magnatec for 100 hours, its Intelligent Molecules offer a stronger layer of protection during warm-up and beyond. Even if you haven’t been using Castrol Magnatec, it’s worth making the change. Castrol Magnatec’s Intelligent Molecules start working for you the day you change your oil. Castrol Edge Titanium 0W-30 C3. has the latest specification for Vauxhall, BMW, Mercedes and most other modern engines. The New CASTROL EDGE combines the latest engine protection technology with improved performance. It is a fully synthetic, 0W-30 viscosity engine oil which meets a wide range of Mercedes, General Motors, BMW, Volkeswagen and Fiat specifications. Motorsport leaves no place to hide for competitors, their teams, partners and suppliers. Comma’s heritage is based in motor sport: partnering with top racing teams means they have taken a fearless approach in demonstrating the effectiveness of their products. Testing their products on race tracks with the likes of Formula Palmer Audi (FPA), who only use and endorse products when they are 100% confident of their quality, performance and suitability, Comma utilise the ultimate test-bed for their products. The FPA’s high performance vehicles are pushed to extreme levels all day, every day, using Comma’s top quality motor oil for every mile racked up. Comma’s X-Flow Type G 5w40 fully-synthetic motor oil is suitable for petrol and diesel vehicles including fuel injected, multivalved and turbo charged. Its fully synthetic properties help to keep engines clean, prolong engine life and reduce emissions. Comes in a 5 litre bottle. Total Quartz Ineo ECS 5W30 Engine Oil 5 Litre. New Low SAPS generation oil especially developed for PEUGEOT AND CITROEN engines. Its very high technology allows fuel savings and optimizes the functionnement of the anti-pollution systems, such as the Diesel Particulate Filter. APLICATION * TOTAL QUARTZ INEO ECS is a lubricant special Fuel Economy of second generation, it can be used for all Diesel engines (former and new generations). It is also appropriate for the majority of the Petrol engines (consult the maintenance manual of the vehicle before use). * TOTAL QUARTZ INEO ECS is essential for the correct function of the diesel particulate filter, as for the other systems of post processing. * TOTAL QUARTZ INEO ECS satisfies the most severe cycles of maintenance and in the most difficult conditions of use (motorway, intense urban circulation...), all seasons. PERFORMANCES * ACEA 2007 C2 & A5/B5 * QUARTZ INEO ECS is the only low SAPS oil recommended by PEUGEOT and CITROEN. NORM PSA PEUGEOT & CITROEN B71 2290. CLIENTS BENEFITS * Fuel savings: up to 6 % of fuel savings in starting phase, on average 3.5 % of fuel savings in mixed cycle compared to the use of an ACEA reference oil (tests carried out on a Citroen C4 1.6 HDi). * ECS_Emission System Control": reduction of the CO2 emissions and the pollutant emissions. In addition to the beneficial effects on the effectiveness of the diesel particulate filter, the fall of the fuel consumption leads to decrease the CO2 emissions, the low rate of phosphorus reinforces the effectiveness of the catalytic pots, EGR valve is less clogged, thus the Nox emissions can be better controlled. * Thanks to immediate lubrication, to the detergent and dispersive additivation which ensures a remarkable cleanliness of the engine, QUARTZ INEO ECS has been developed to follow the most severe cycles of maintenance PSA.